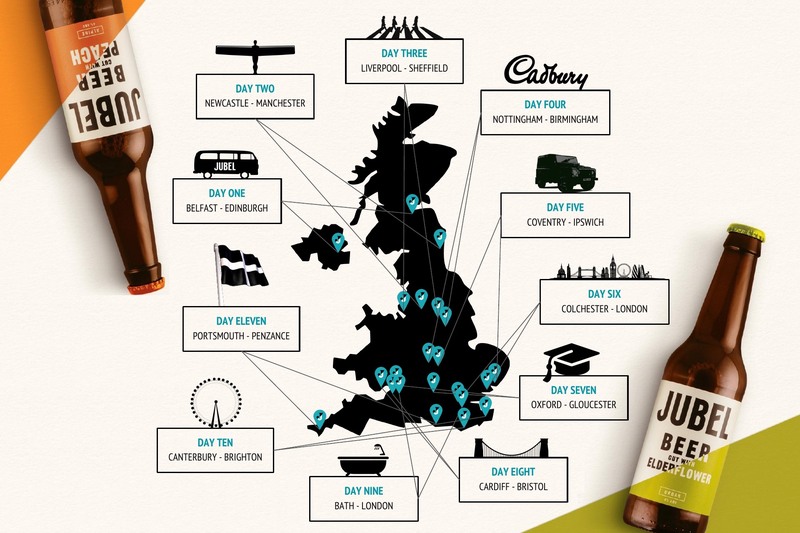 To mark the New Year and its newly-won national supermarket listing, the founders of Cornish start-up beer brand, Jubel, are taking to the road this month on a ‘Vanuary’ mission to visit each and every of the 250 Sainsbury’s supermarkets they are stocked in across the country. 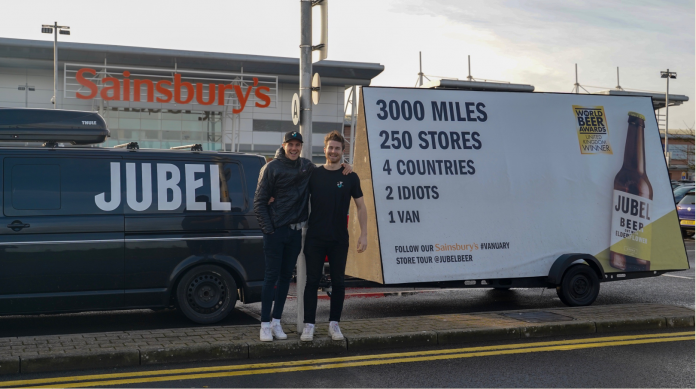 In what they believe to be a UK first, the 3,000-mile journey is seeing them living and sleeping in a VW campervan as they tour the stores across four countries and destinations from Northern Ireland all the way down to Penzance. Without the luxury of big budgets to outsource the store checks, the founders have taken the task on themselves and will also be dishing out beers and merchandise to store staff to make the most of their time on the road. The brand was launched by university friends Tom Jordan and Jesse Wilson in 2017 and has been making waves on the UK beer scene ever since. They are pioneering a new style of beer to “uniquely deliver the refreshment of a fruit cider with the sessionability of a crisp lager”. Crafted in Cornwall, both naturally infused peach or elderflower beers are also brewed to be vegan and gluten-free.